Did you know that the best insulation there is can’t save you as much on heating and cooling costs as you’d save if you just had a smaller house? 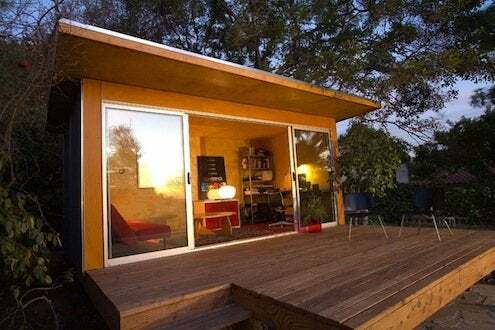 Comparing the energy use of a poorly-insulated, fifteen hundred square foot house to that of a well-insulated house twice as big (with R-13 walls, R-19 ceilings, and double-glazed low-e windows), building scientists concluded that, indeed, less is more. Despite its insulation, the bigger house uses 50% more energy than the little house. That explains why a new breed of smaller, super-insulated homes, designed with an eye toward maximizing the heat from the sun and minimizing air leaks, can be heated with small wall-mounted mini-split pumps that consume no more power than two hair dryers. It’s not really about how efficiently we make heat anymore; it’s about how well our homes hold on to that heat. As any early American colonist or log cabin pioneer could have told you, smaller and smarter is warmer and cheaper!